Courses are 8 weeks in duration for three credit hours. A trimester is 16 weeks long comprised of two 8-week terms. Full-time enrollment is considered to be 6 credits per trimester. While a student may enroll in two 3-credit courses a term (8-weeks) without permission of his/her advisor, it is recommended that students consult with their advisor to determine appropriate course selection for timely program completion. Progress will be monitored and students are expected to confer with their advisors regarding any academic issues. Students will not be enrolled in more than 6 credits a term without their advisor’s prior approval. time enrollment is considered 6 credit hours per trimester, normally one 3 credit course per term. In this manner, most programs can be completed in six trimesters or two calendar years although students may choose to complete the program in less time. However, because adult learners lead very busy lives, some students may take more time to complete a program. All students are expected to complete their respective degrees within 5 years. Satisfactory student progress has two metrics: annual grade point average (GPA) and length of time to degree completion. Graduate students are expected to maintain a 3.0 overall GPA with no grade below “C”. An overall GPA of 3.0 is required of Master’s degree students for graduation. To maintain satisfactory academic progress in a course, students must submit assignments and participate in regular course activities each week. If a student has an emergency and cannot submit the weekly assignment by the due date, the student is responsible for informing the instructor. Instructors may deduct points for late work. In the event a student will be unable to complete course work by the end of the term, the student may petition for a course extension by submitting an Incomplete Grade Form. The University may place a student on academic probation for one trimester as a corrective action to provide the student time to improve academic progress, financial obligations, or issues related to ethical behavior. The student may be removed from probation when the Vice-President of Academic Affairs receives and approves of information related to the probation issue. Students not making satisfactory academic progress for two consecutive trimesters while on academic probation may be dismissed from the University upon review by the Vice President of Academic Affairs and consideration by the University Council. Dismissed students may apply for readmission to their former program after two consecutive terms of dismissal. Students applying for admission to a different program shall meet the current admission requirements for new students in the desired program. Upon application for readmission, the student’s academic record will be reviewed to determine if Satisfactory Academic Progress can be attained within two terms and if the program can be completed within the Maximum Time Frame for the degree. Students readmitted to the University will be placed on Academic Probation until Satisfactory Academic Progress is achieved. In addition to unsatisfactory academic progress, students may be dismissed from the University for financial delinquency, or lack of compliance with University rules and regulations as defined in this catalog. 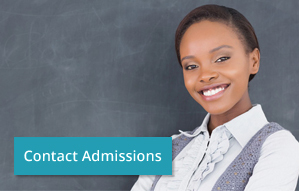 Upon admission to the University, each student is assigned a program adviser who is available to help the student select appropriate courses, monitor academic progress, respond to academic questions and concerns, and discuss career interests. However, responsibility for complying with University policies and regulations, and the completion of all degree requirements, rests with the student. Program advisers are available during normal work hours to answer questions and discuss academic ideas, by calling the University (866-582-8448). Student progress in a course requires the submission of work in a timely fashion. The expectation is that the student’s work meets the course standards. The instructors at Sarasota University have the authority to extend deadlines and to grade or to not accept work which they deem unsatisfactory or beyond deadline for submission. Students should understand that the work they submit is treated as final copy and is subject to evaluation against the assignment’s standards. It is the prerogative of the instructor to request that an assignment be redone before a grade is assigned. Students are encouraged to communicate in a timely fashion any issues that might affect their progress in the course. Faculty members who are instructors of record for a class are vested with the primary but not sole authority to grade and report student work in relation to course requirements and standards of performance. Grading procedures are University-wide standards for assessing and reporting student work. If a student feels that a grade is an unfair representation of his/her achievement in a course, the student should first talk with the instructor. If the outcome of that conversation is unsatisfactory, the student should contact the instructor’s department head who will discuss the issue with the instructor. This discussion may involve the student. If the result of that discussion is unsatisfactory to the student, the student may appeal to the Academic Progress Committee. If the student finds the result of that discussion unsatisfactory, the student’s next step is an appeal to the Vice-President of Academic Affairs who will refer the appeal to the University Council. Depending on the nature of the complaint, the University Council has the authority to uphold previous actions, to dismiss a student, to consult with the instructor for clarification and documentation, to recommend an opportunity to submit or resubmit work, and to counsel the instructor about a grade change. The University’s policy of fairness means that issues related to student progress and achievement are significant, intellectual freedom is respected, and that in a community, determinations of achievement and progress may be a group decision. Students should make their issue with a course grade or other complaint known by email or in writing and in a timely fashion. Appeals and complaints at the department head level will be handled within seven days of receipt; at the University level, decisions are reported within 30 days. All actions are reported by email and in writing by US or commercial mail (UPS, FedEx). A printed record of all email correspondence between the student and the University regarding the complaint will be kept on file. On occasion, other obligations prevent continuous enrollment. Students who may need a period away from their studies should discuss that need with their advisers and then fill out and submit a Leave of Absence Request form to Student Services. Students will be encouraged to take a leave of absence for a short duration rather than to withdraw from the University. A leave of absence may not exceed one calendar year after which a student must return as an active student or withdraw from the University. Sarasota University may accept up to 9 credit hours of previously completed graduate level course work from another appropriately accredited credit granting institution or award credit for noncredit coursework from a certified training program. Once a student is accepted and has submitted a signed Enrollment Agreement, the student may request review of prior coursework for transfer credit and learning experiences for applied credit by submitting the Prior Learning Credit Request Form along with proper documentation. the coursework has been completed within the previous five years at an appropriately accredited educational institution. The Department Chair or Dean will determine the relevancy of the previous coursework and learning experiences, based on the student’s transcript, catalog and relevant other documentation (e.g. course syllabus, assignments, handouts, etc.) from the institution where the coursework was taken. Students will be notified via email and postal service by the Department Chair or Dean of the acceptance or denial of the prior learning credit. The University also recognizes the viability of certificated training programs through professional organizations and specialty institutions. The University may award academic credit for work completed in special training programs closely aligned with the degree program. Consideration for approval by the Vice President of Academic Affairs requires recommendation from the Faculty advisor based on the equivalency of the prior learning to established course requirements. Once approved, these credits may be applied towards the student’s plan of study. (See the program area of the catalog for credit limits). Certain documented professional experiences may also qualify for up to 6 hours of awarded credit under this provision. This experience will be evaluated with an oral or written examination, or both. Sarasota University may accept or award from 1 to 18 total credits toward a student’s degree program from prior coursework or learning experiences. The total number of credits awarded under this provision may not exceed one-half of the student’s program of study. Grades received for prior credits or certification course work are not recorded on the student’s transcript. The student’s GPA is based solely on grades earned in courses completed at Sarasota University. 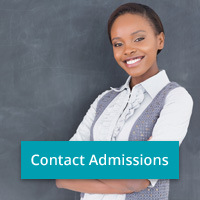 The acceptance of Sarasota University course credit is the decision of the receiving college or university. It is the student’s responsibility to confirm whether or not credits will be accepted by another institution of the student’s choice. If a student determines that a leave of absence is insufficient time to accommodate a change in circumstances, withdrawal from the University may be requested by the student. Withdrawal from the University is initiated after a conference with the student’s academic adviser and the completion of a Withdrawal from the University form. The form for withdrawal requires the adviser’s signature. The student may initiate a return to the University by contacting Student Services. Depending on the length of absence, adjustments may be made to the student’s Program of Study.